If Colin Kaepernick ever sets foot on a football field again, he could be wearing Adidas. 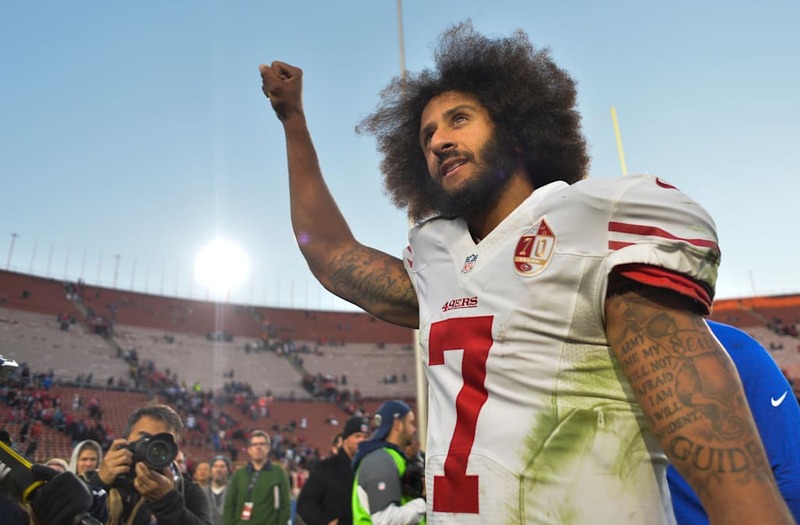 The apparel company would jump at the chance to outfit the free-agent quarterback, who remains out of the NFL after starting the polarizing anthem demonstrations two years ago in protest of police brutality and racial inequality. "If he signs on a team, we would definitely want to sign him," Mark King, the president of Adidas's North America division said last week at Arizona State University. King made the bold statement during a Q&A at the school's Global Sport Summit. "We love athletes that have a platform to make the world a better place," he said. "If they're an activist in a way that brings attention to something that moves the world forward, even if there's controversy at that moment, we're really interested in those athletes because I think it represents the world today." King's comments are a stark contrast to those made by Papa John's, the pizza chain that was critical of the NFL anthem protests last year and blamed sagging sales on the movement. They also run counter to the actions of companies like CenturyLink and Air Academy Federal Credit Union, which cut ties with kneeling Broncos linebacker Brandon Marshall. "While we acknowledge Brandon's right, we also believe that whatever issues we face, we also occasionally must stand together to show our allegiance to our common bond as a nation," CenturyLink said in a statement after dropping Marshall two years ago. "In our view, the national anthem is one of those moments." Kaepernick filed a collusion grievance against the NFL, claiming team owners have conspired to leave him unemployed since last year because of his political and social beliefs. According to reports, a workout with the Seahawks was canceled last week after Kaepernick refused to abandon the anthem demonstration altogether. A similar situation unfolded recently in Cincinnati, according to reports, when free-agent safety Eric Reid was shunned when he also declined to give up the protest. Kaepernick is in New York Tuesday as NFL commissioner Roger Goodell is scheduled to be deposed as part of the collusion case. Kaepernick's lawyers recently grilled NFL VP Troy Vincent and Cowboys owner Jerry Jones, and have reportedly questioned Texans owner Bob McNair, too. Kaepernick was deposed last week, according to reports, and the case could be decided by the end of this year. However, observers would not be surprised if Kaepernick never plays football again. But if he ever does, he could be wearing Adidas. "We're not in the business of activism, we're in the business of sport," King said. "But allowing our athletes to tell their story, it's really important to us."